The Friday before Spring Break, we played the Aesthetics Game again, where we drew common objects casted into different aesthetics. My neighbor Andres and I came up with designs for speakers with a Deustcher Werkbund aesthetic. This aesthetic comes from a German association of the same name. Deutscher Werkbund aimed to bring industrialists, architects, and artists together to create a style that was both aesthetically pleasing and manufacturable at a large scale. The speaker I drew (above) has individual speaker cones framed by bars that wrap around them. It lays on a flat base, perhaps made of wood. I designed it having been inspired by a chair I saw that was in the Deustcher Werkbund aesthetic. As you can see, this chair also has round-bent pipes with a minimalist aesthetic. Next, I also tried my hand at designing a Matte Black / High Tech Aesthetic cat litter box. It seemed like an interesting combination. I came up with one that has sleek black stripes throughout the box. Magnificent enough to please even the pickiest of black tabby cats – they would blend right in. 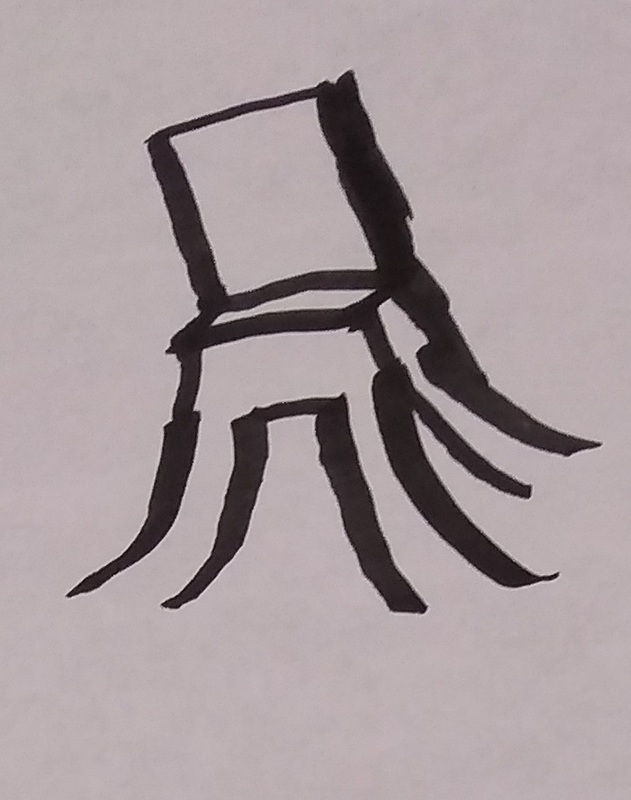 After exploring those ideas, I went back to my chair design and came up with a chair with a swept appearance. I was going for a simpler, more ghostly aesthetic.